is behind me for today. 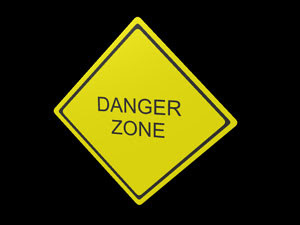 At least the workout danger zone. I am committed to following the beginner workout schedule for Turbo Jam. I have not been working out enough to consider myself in any kind of shape at all, so I am starting at the beginning. Far too often I start something, go too hard, too fast and end up injured or exhausted or just plain burned out. When I was so successful in the past it was always because I started slowly and built up sanely. So since I am determined to be successful I am starting at the beginning and building slowly. It's clearly working because I faced a major hurdle today and got over it. Working out after a couple of days off. This has always been a problem for me. And that is just what it feels like, some cheesy title in red that I have to face. It's terrible. Part of the reason I tend to go too hard and too fast is because if I take a day or two off from working out I have the hardest time going back to it. So generally I start with I'm going to workout everyday this week... or some such similar nonsense. Then I try and get tired or sore and fail and feel like a flop. But taking days off are an issue for me. I am going to finish out the month following their schedule, there are only 13 more workouts left. Once that is done I will do another month of their schedule - it will be a harder schedule though not the beginner again - and then I will order another workout. I'm thinking of getting Turbo Fire next and then P90X. If I want to keep going after that I'll get Insanity. I know the kind of shape I want to be in and I just need to take my time and focus and I'll get there. Turbo Jam will take me through to the end of the year. At that point I will see if I'm ready to start running again. If I am I will add running in 3 days a week while I continue working out with DVDs. Do you seen how insane I am?? I can not help but continue to think more, harder, faster........ Ugh, I am totally insane!!! !